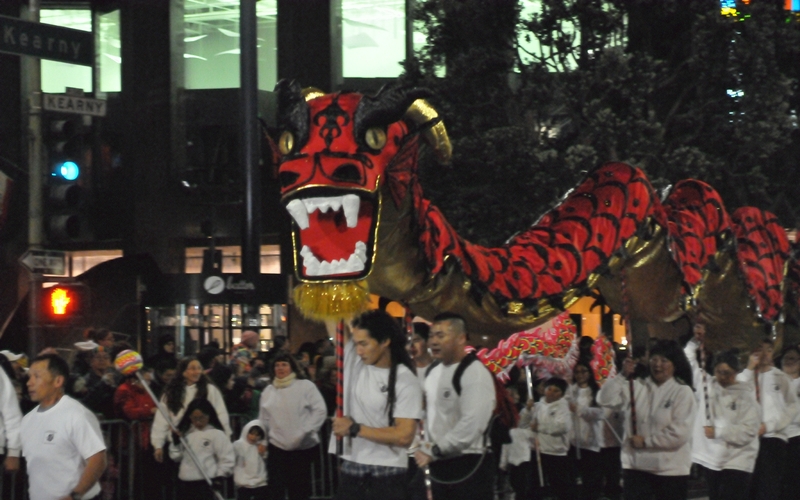 The Mills High School dragon wove back and forth across the street for the amazement of onlookers. Yick Wo Elementary School carried a very modest sized dragon. 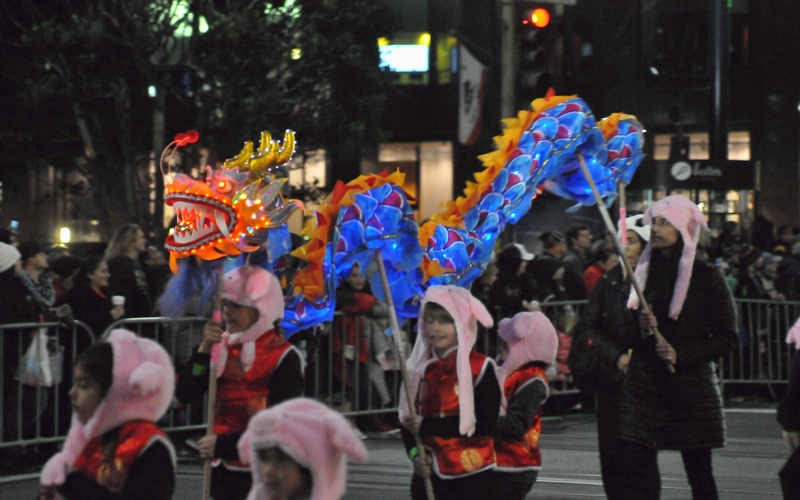 The San Gabriel Valley Chinese Cultural Association's dragon looked fierce in its red body and curved horns. 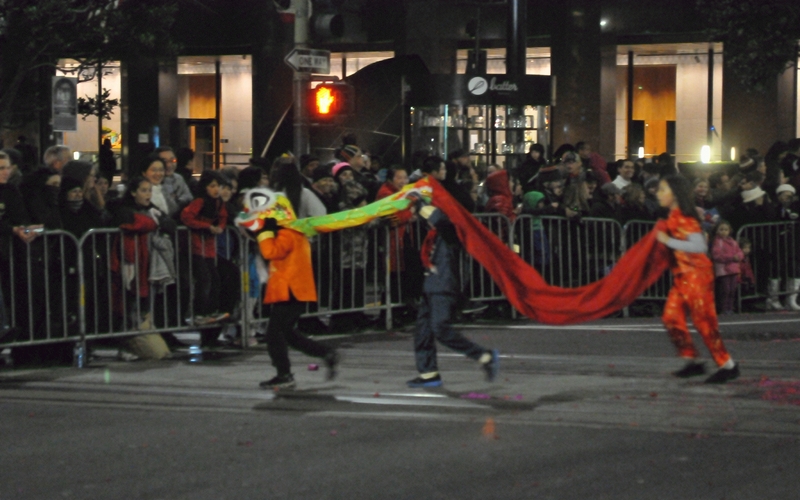 The Yu Ming Public Charter School's dragon was the parade's shortest dragon. 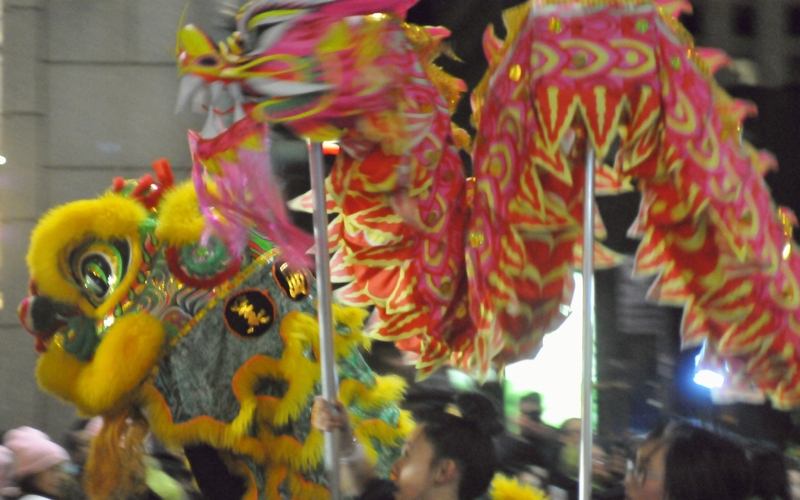 Made up of a lion dancer's head and body with a length of red fabric added. 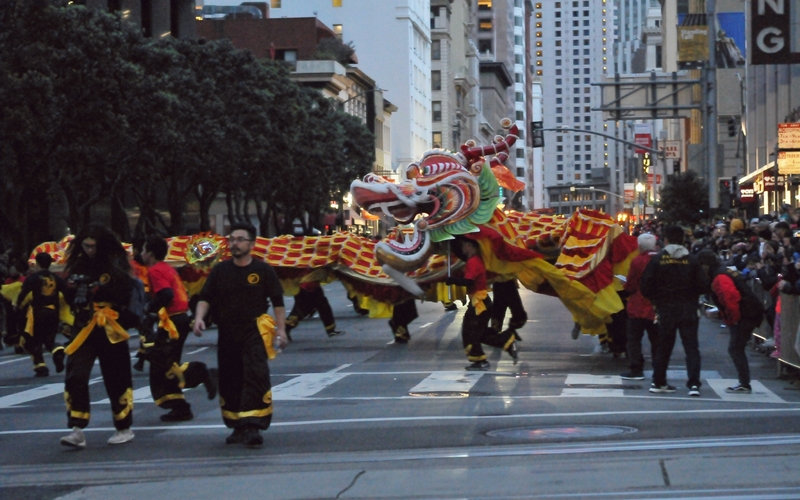 The dragon, of West Portal Elementary , tightened up to squeeze past a lion dancer.